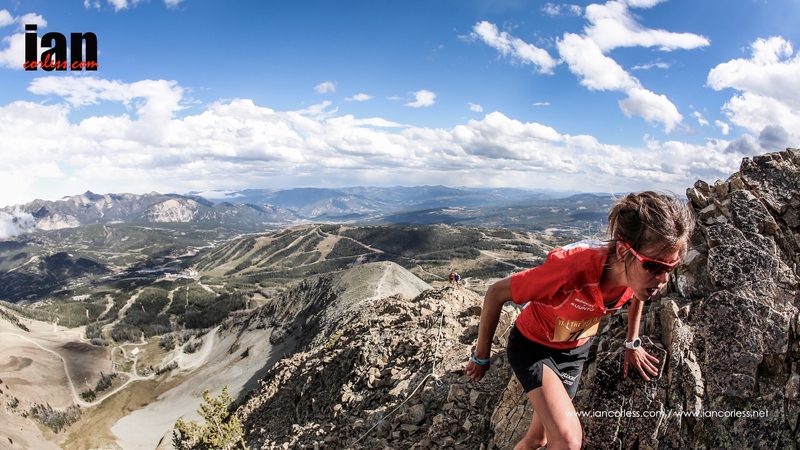 Starting at the Big Sky Resort base area, the Lone Peak VK offered Skyrunners a lung busting ascent to the summit of Lone Peak (11,166ft) in just a little less than 5k. It may not be the steepest VK on the Skyrunner® World Series but it certainly is one of the most dramatic and the views from the summit are quite incredible. In contrast to 2014, the first half of the VK route had a change based on operational concerns of Big Sky Resort. So this year, the sole hole biking trail is a no go and the route takes on a steeper and more direct route following the ethos and principals of Skyrunning. Heading up Huntley Hollow and Calamity Jane ski runs the route headed up to the Bone Crusher and the impressive Alto ridge. Here it gets steep, gnarly and technical and the long haul, hands-on-knees grunt continued to the summit. The final sections had a potential for rockfall, exposure and other objective hazards. Starting in waves, the elite runners departed first on the stroke of 1500 in a mass group. The early stages were always going to be about finding a rhythm, working out a good pace and then looking for a prime position before the more technical and challenging terrain started. Remi Bonnet and Laura Orgue pushed from the start and both looked very strong at the midway point before the more technical sections started. In the ladies race Morgan Arritola looked to be closing the gap with 500m covered but Laura found the extra reserves to push on to the line. Ladies rising star, Yngvild Kaspersen ran a strong race and relegated ladies Tromso VK winner, Emelie Forsberg with a strong push for 3rd. 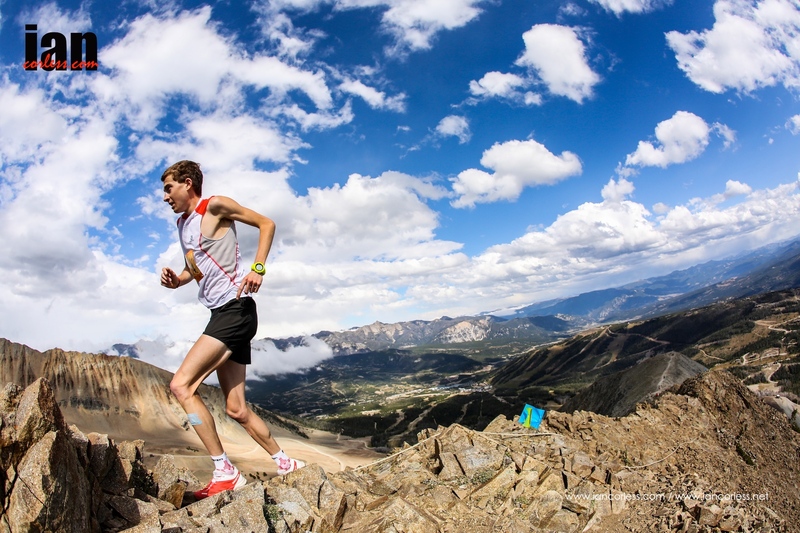 Remi Bonnet was in a class of his own on this course and finished clear of Matterhorn Ultraks winner, Martin Anthamatten and Ferran Teixido moved up from 4th place and 500m to 3rd at the line. 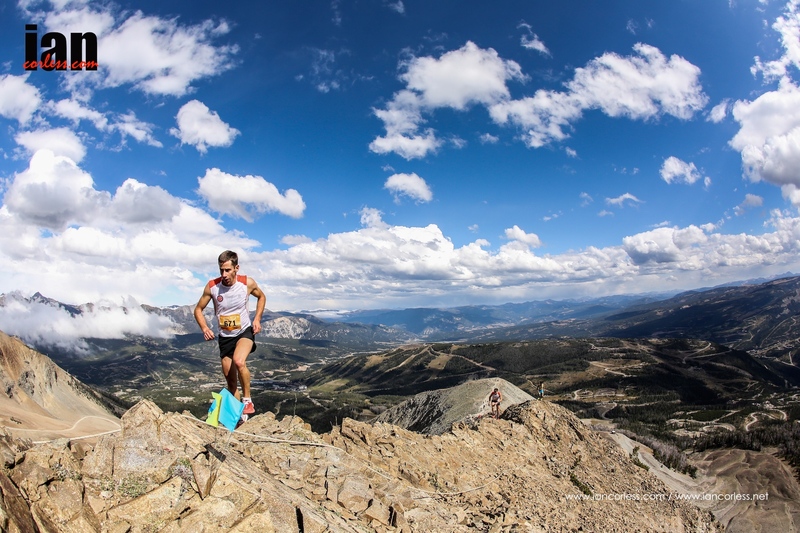 At the summit Remi Bonnet arrived first looking spent with the effort in a time of 45:58:04. It was a dominating performance and a confirmation of a star in the making. Holding on for 2nd was Martin Anthamatten and 3rd place was Ferran Teixido in 47:38:78 and 48:04:89. respectively. In the ladies’ race Laura Orgue finished a strong 1st 1-minute clear of Morgan Arritola 2nd and Yngvild Kaspersen 3rd. Times were 52:20:36, 53:16:79 and 55:15:05. 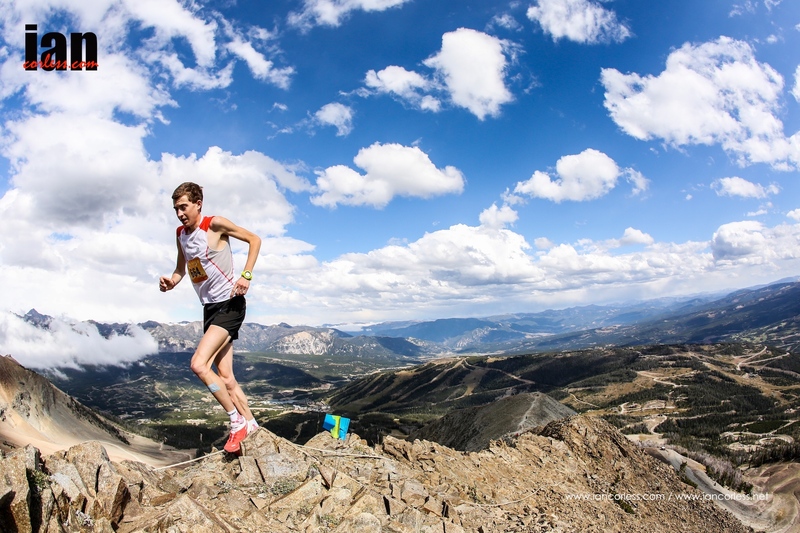 The weather and altitude played a key factor in the Lone Peak VK and when a race starts on or around 2000m, a runner’s altitude adaptation was always going to play a key part. Attention now turns to Saturday and the 25km event. 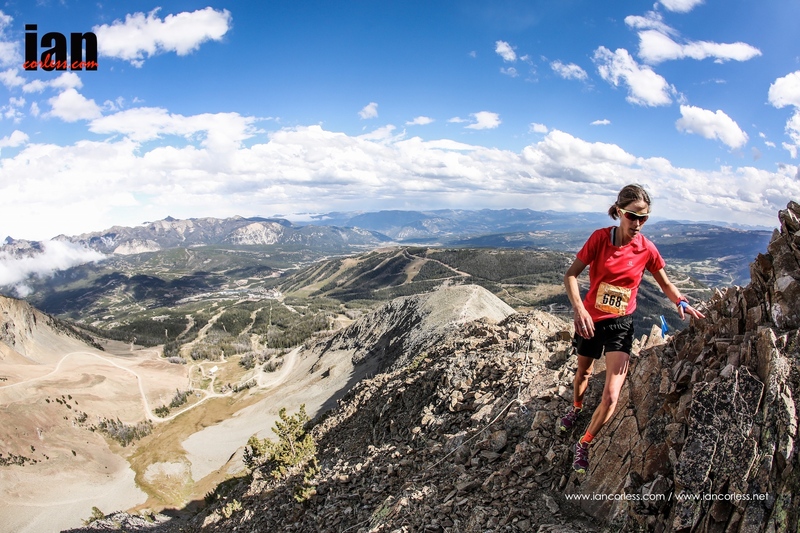 This event will prove to be fast and furious with mixed terrain that includes single track, jeep roads, alpine ridge lines and the summit of the iconic Lone Peak. 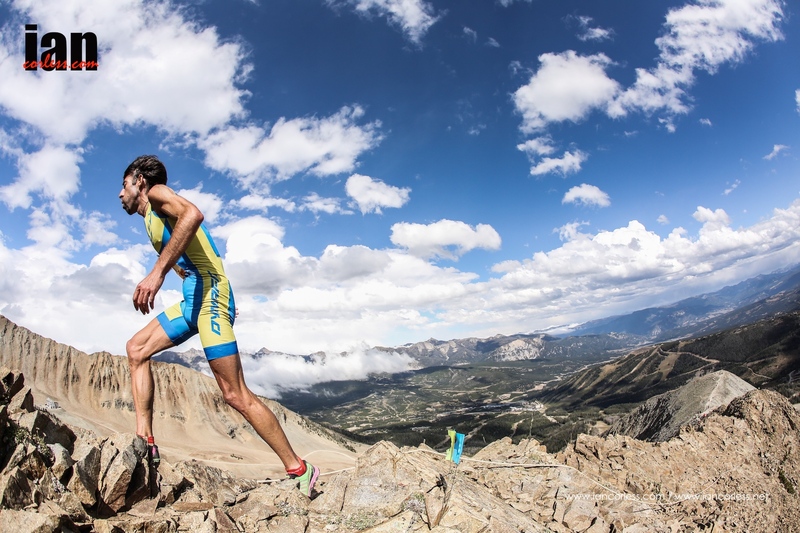 This entry was posted in Uncategorized and tagged big sky, Emelie Forsberg, feral tied, ISF, Laura Orgué, lone peak, lone peakvk, martin anthamatten, morgan arrival, remi bonnet, runtherut, Salomon, Sky, Skyrunning, vertical, Yngvild Kaspersen by talkultra. Bookmark the permalink.